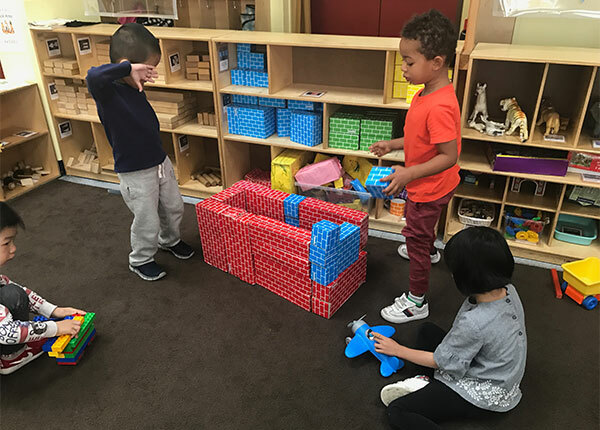 Our mission is to serve preschool children from families of all economic backgrounds to reflect the diversity of the larger community and to provide a safe and healthy environment, where they will acquire basic academic skills that will enable them to be ready for kindergarten. Our program is multi-cultural and bilingual. Our goal is to help children develop their English language skills and become acquainted with American society, as well as learn to take pride in their own language and culture. "We love True Sunshine Preschool! All of the teachers and assistants are always so pleasant and upbeat, and they create a really positive environment for the kids. The curriculum is very carefully considered and varies week to week. Our three and a half-year-old son is always very excited to tell us what is new at school, and he is learning by leaps and bounds thanks to his awesome teachers! I really appreciate that everyone at the school keeps us in the loop about their goals and plans for the kids and the school. I always feel very comfortable talking to them about anything that comes to mind, and they are attentive to our feedback as well." Each child deserves an opportunity for total and full development.